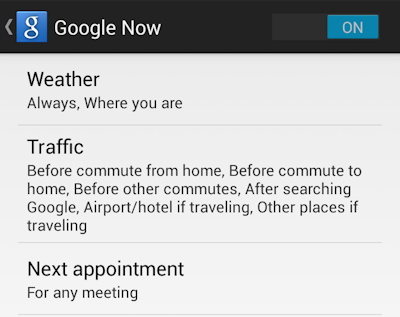 Google Now is a great new Android feature that was introduced with Jelly Bean back in June. It was recently named Innovation of the Year by the magazine Popular Science and it’s part of the Google Search app. I personally don’t have Google Now turned on since I currently don’t have much use for it, but I regularly use the Google Search app to find information using my voice. However, Google Now and Google Search always showed me temperatures in Fahrenheit. I prefer Celsius and I couldn’t find a setting to make the app switch from Fahrenheit. Sure, I could manually force Google Search to show me weather temperatures in Celsius by saying “Show me the temperature in Celsius in London”, for example. That’s a bit bothersome, though. Luckily there’s a simple way of switching to either Fahrenheit or Celsius, but first you need to activate Google Now (you can always turn it off later). 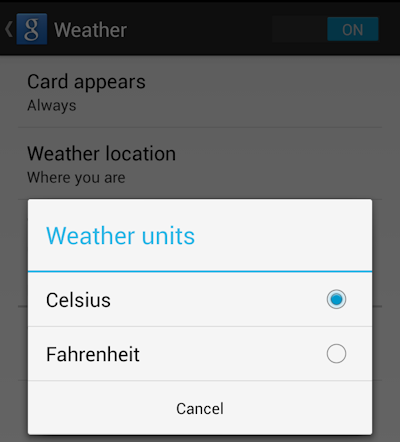 Here’s how to change the weather and temperature settings in the app. Activate Google Now (if you haven’t done that already) by launching the Google Search app and then navigating to Settings > Google Now. There should be a button in the upper right corner (at least on Nexus devices) that will activate the service. Choose “Yes, I’m in”. Tap your way to Settings > Google Now > Weather > Weather units and select either Fahrenheit or Celsius. 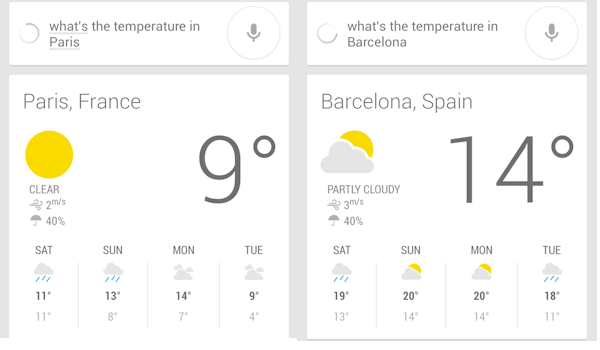 From now on, Google Now and the Search app will always show temperatures in the unit of your choice. 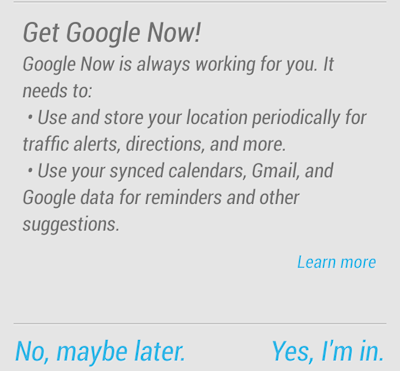 You can now deactivate Google Now if you don’t need it.